The All Assam Students Union (AASU) on Wednesday said that the Government of India will not concede to ‘our demands on a platter’ but ‘we have to fight and struggle for the protection and survival of our indigenous people of the Northeast’. “The Government of India will not concede to our demands on a platter but we have to fight and struggle for the protection and survival of our ingenious people of the Northeast,” said All Assam Students Union (AASU) chief advisor Samujjal Bhattacharya in New Delhi on Wednesday. Bhattacharya who is also the advisor of the North East Students Organization (NESO) was talking to the media persons hours after the Rajya Sabha announced sine die ‘without introduction and tabling of the contentious Citizenship (Amendment) Bill, 2016 (CAB). Interestingly, AASU and NESO have decided to work with all ‘secular’ political parties to safeguard the sentiments and interest of the indigenous people of the Northeast. 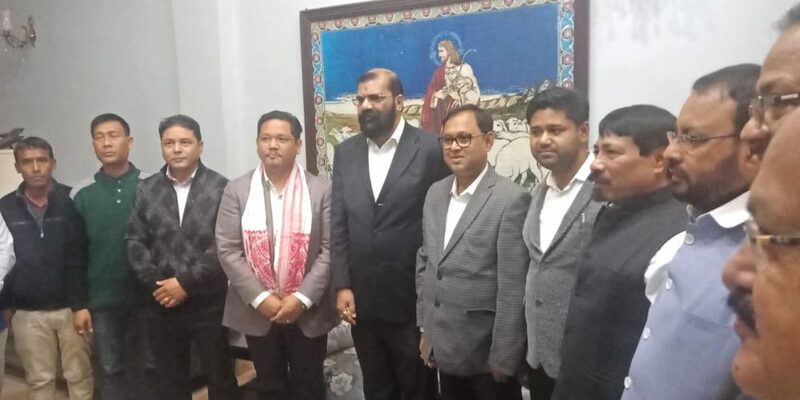 “We are neither a political organization nor we support any party with political intention but we will take support of all parties to safeguard the interest of the indigenous people of the Northeast in general and Assam in particular,” said AASU president Dipanka Nath. The AASU president said that during the last few days they have met several political parties of south India and north India ‘and they have received positive response’. For the last couple of weeks, all the leaders of AASU and NESO have been campaigning in the national capital to generate support against the citizenship bill. Apart from meeting Congress president Rahul Gandhi, the student leaders also met several other political parties including CPI, CPM, JD (U), Shiv Sena, NPP among others. Samujjal, however, said that NESO wants three more issues to be scrapped that includes notification and order 2015, passport entry of the foreigners and long term visa.